RuPaul’s Drag Race producer World of Wonder (WOW) has added to its senior leadership team with four new hires. 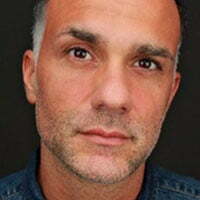 Matt Vafiadis has joined the LA-based company as senior VP of development, reporting to chief creative officer Tom Campbell, who will continue to oversee the department. Vafiadis joins WOW after three years as VP of production at Discovery, where he oversaw Gold Rush and launched two spin-offs from the show. 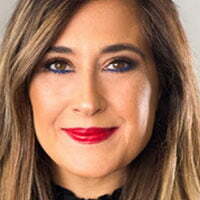 Maitee Cueva, who was part of the original team that launched the Oprah Winfrey Network, has also joined the company. She will oversee all current programming at WOW as senior VP of current series and programming. Ryan Slattery, meanwhile, has arrived as senior VP of digital content and will lead WOW Presents and the WOW Presents Plus SVoD service, in addition to developing short- and long-form content for WOW-branded channels and external platforms and networks. Slattery was previously senior VP of production and development at digital studio and creator network Collab. Finally, WOW has also added the former head of digital sales at Rolling Stone magazine as its head of brand partnerships. The hires come as the prodco, which is also behind Out of Iraq, the Million Dollar Listing franchise and Mapplethorpe: Look at the Pictures, has projects on the slates of networks such as ABC, VH1, Fox, Netflix, Bravo and AMC. Drag Race is currently in its 11th season in the US, where it airs on VH1, following RuPaul’s Drag Race: All Stars 4. Internationally, Drag Race Thailand continues to air, while RuPaul’s Drag Race UK is set to be launched on BBC3.